Alzheimer’s is a disease that impacts more than just the person who has it. 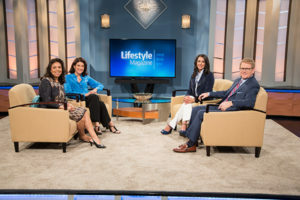 Actress Amy Aquino from the shows ER and Bosch is here to share her family’s personal experience with this degenerative disease while Monica Moreno from the Alzheimer’s Association talks about caregiving a loved one with the disease. Offer Description: It takes a lot of patience, self-control, and togetherness for a family to cope when a loved one has Alzheimer’s Disease. It also takes the wisdom and direction and compassion of a writer like Carol Luebering to summarize all the essentials in one small booklet. 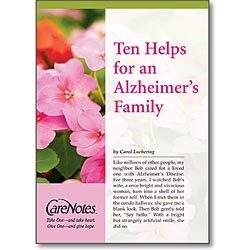 Here are ten most critical pointers, with which she concludes: “Alzheimer’s, as tragic as it is, is still part of God’s invitation to love.